EcoFriendly How? The raw material that is used to produce this item is made from bio-based material and contain plant oil rather than industrial oil. The plant oils are a natural material and are easier to recycle due to low carbon emissions. 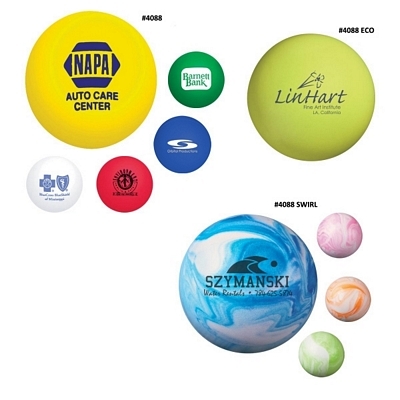 Customized Ball Customized Stressball Stress Relievers Item #HT-4088 (Minimum Order: 100). Promotional Customized Stress Relievers can be personalized with your business logo. Our Promotional Stress Relievers are decorated with No Setup Fees. 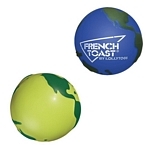 Customized Globe Stress Relievers Item #HT-4089 (Minimum Order: 100). Promotional Stress Relievers like the Globe Stress Relievers can be personalized with your business logo and with No Setup Fees. 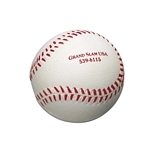 Customized Baseball Stress Relievers Item #HT-4090 (Minimum Order: 100). Promotional Stress Relievers like the Baseball Stress Relievers can be personalized with your business logo and with No Setup Fees. Customized Heart Stress Relievers Item #HT-4094 (Minimum Order: 100). 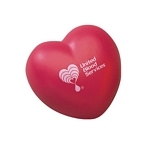 Promotional Stress Relievers like the Heart Stress Relievers can be personalized with your business logo and with No Setup Fees. 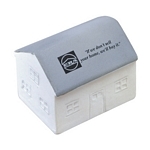 Customized House Stress Relievers Item #HT-4095 (Minimum Order: 100). Promotional Stress Relievers like the House Stress Relievers can be personalized with your business logo and with No Setup Fees.